Curly hair is beautiful. This is why men and women who have straight hair want to be curly. Lucky are those who were born having the natural wave or curl. However, the problem that they face is it is sometimes difficult to manage or control. It gets really frizzy and poofy! What makes curly hair frizzy ? Frizzy is dry hair. It simply lacks moisture or oil so the result is the strands become brittle. The short or broken strands then become hard to style and manage because they escape and swing off the head. 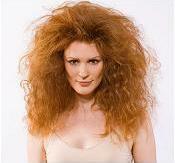 It can also be a result of high humidity or chemically treated hair. Conditioner. Use conditioner after every shampoo. Leave it there for several minutes before washing it off. 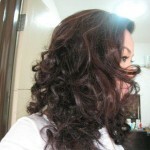 Some recommend avoiding using too much shampoo as it is not good for curly hair because it loses natural oils. Conditioning everyday is better than shampooing. 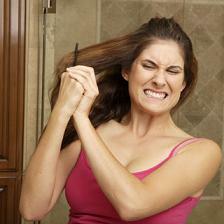 Shampoos contain have harsh sulfates that can cause damage. 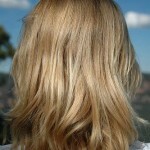 Moreover, deep conditioning should be done at least once a week to make it healthier. Trim. This is to get rid of split ends. Comb when wet. Avoid using the hairbrush. Switch to a wide toothed comb or just use your fingers while it’s wet to get rid of tangles. Apply some products. When it is still damp, apply a small amount of styling cream like Freeman Papaya Moisture Plus Glassy Anti-Frizz Cream with Kukui Nut and Coconut. Afterwards spray Freeman Papaya Moisture Plus Surf’s Up Curl Enhnacing Spray with Guava and Honeysuckle. This will surely keep the frizz and damage away and you’re going to get your desired hairstyles. Be gentle. Do not rub it with towel to avoid worsening the cuticle. Avoid using products that contain alcohol. Apply Moisture Block. Apply a small amount on damp hair. It locks the essential moisture while blocking out excess moisture. Now you can take good care of your naturally beautiful curly hair with these remedies. Style it the way you love and show how wonderful it is on your special holidays.